This editorial is written to give introduction of Archives of Clinical Microbiology (ACM). Archives of Clinical Microbiology (ACM) is a new peer reviewed, international journal in the field of Clinical microbiology and infectious diseases which covera all aspects of these fields. Archives of Clinical Microbiology (ACM) aims to provide latest updates on modern research in the field to scientific community around the world. Archives of Clinical Microbiology (ACM) journal have world famous scientists in journal’s editorial board. 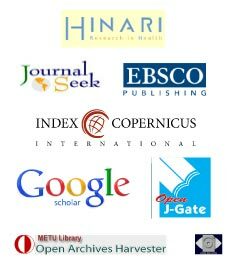 As, being international journal, Archives of Clinical Microbiology (ACM) editorial board is represented by famous scientists from all continents of the world. Archives of Clinical Microbiology (ACM) covers all aspects of basic and clinical microbiology subjects relevant to infectious diseases including current research on diagnosis, management, treatment,preventive measures, vaccination, and methodology. Clinical microbiology relevant immunology, pathophysiology, genetics, epidemiological, anthropology and genomics studies are also welcome. There are many journals relevant to clinical microbiology field but all these journals are limited in their scope and are also confined to only lab science research or only cover clinical research. Archives of Clinical Microbiology (ACM) is aimed to combine both lab and clinical research related to microbiology and infectious diseases. Archives of Clinical Microbiology (ACM) is an open access journal with rapid publication of articles. Articles are subject to standard peer review process which will be fast process as compared to other journals in the field. Articles will be immediately published after their acceptance. The published articles will be freely available to the readers throughout the world without any need to pay any charges to get access to full articles. It means that published articles will have more readers as compared to printed journal’s articles which charge a subscription fees. Archives of Clinical Microbiology (ACM) charges very low article processing charges (APCs) as compared to many open access journals. Further more, to encourage submissions from lower income nations, Archives of Clinical Microbiology (ACM) is offering special discounts in article processing charges (APCs). Archives of Clinical Microbiology (ACM) publish original research papers, case reports, short communications, personal views, comprehensive and mini review articles and also short letter to editor articles. I invite you to submit your precious research work in Archives of Clinical Microbiology (ACM).